What sort of populist liberal firebrand would set out to slash tuition, prioritize undergraduate instruction over university research, and push to enroll more low-income, first-­generation students? At the University of Texas, the firebrand in question isn’t a liberal at all. He’s a conservative Republican. Powell was appointed to the UT Board of Regents in 2009 by Governor Rick Perry and became its chairman last year. 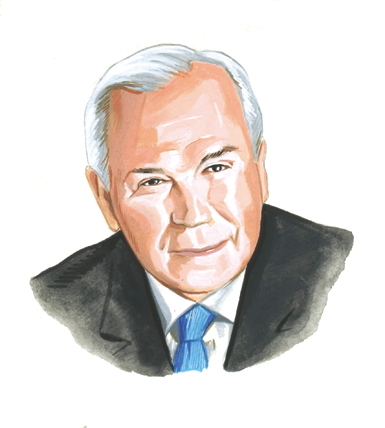 As state education spending goes down and tuitions go up across the country, Powell has emerged as a champion of the movement to rethink how colleges can operate creatively—­and, with a boost from education technology, cheaply. He’s called for halving tuition while expanding enrollment. And, echoing a proposal made by Perry, Powell, a 66-year-old real-estate developer and tech entrepreneur, wants the system to establish a degree that costs $10,000 for all four years. Powell didn’t help matters when he likened the $10,000 degree to a Chevy Bel Air, in contrast to a high-end Cadillac. (He later clarified that he was referring to the need for inexpensive degrees at regional campuses.) This kind of talk raises the specter of inequity, of course. But a solid Bel Air approach may be a harbinger of progress in an age when too many students settle for a Yugo-quality education. Ben Wildavsky is the director of higher-education studies at the Rockefeller Institute of Government and a policy professor at the University at Albany. He is author of The Great Brain Race: How Global Universities are Reshaping the World.